Come along, join in the fun & create 3 beautiful cards. Bookings for this class will close on, Wednesday, 22nd of August 2018, unless sold out earlier. For full details on this class please see below. Class Outline: Join me for three hours of creative fun, as we make these beautiful & unique cards. When: Wednesday, September 5th, 2018 – Bookings are now open for this class. 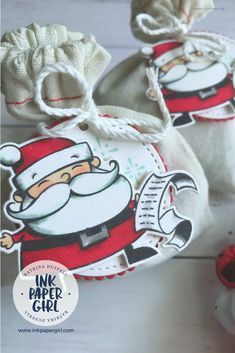 Class Description: You’re going to have fun creating these sweet Christmas Cards, using the Signs of Santa stamp set & coordinating framelits dies. You’ll get to make 1 each of these 3 cute Christmas cards. Skill Level: Some prior card making & colouring skills would be beneficial, but are not necessary for this class. I will have all your card bases & layers cut & scored for you. You will get to do some basic die cutting & embossing using the Big Shot machine, as well as stamping & gluing on the day. That way you can focus on the fun. Learn how to stamp a clean, crisp image. 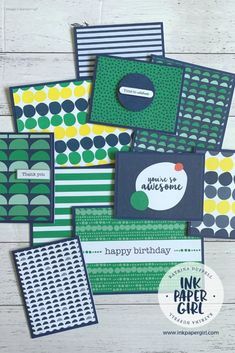 Learn how to colour using the Stampin’ Blends Alcohol markers. Learn how to sponge a masked background. Learn how to die cut & emboss using the Sizzix Big Shot machine. The opportunity to create & finish up to 3 cards during the class, time permitting. Late arrivals, & super social class guests, may need to finish their cards at home in their own time. *Please note that the white embellishments featured on some of the cards are not part of the class kit & can be purchased separately. Who is this class suitable for: The majority of Ink Paper Girl classes, are designed to be as approachable as possible, regardless of your skill or experience level. 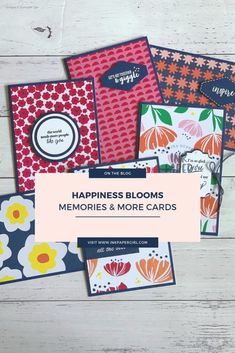 Prior knowledge of basic stamping, die cutting, embossing & colouring techniques will make this class easier, however they are not essential & anyone that’s new to stamping & card making will still enjoy this class. Bookings will close on: Wednesday, 22nd August 2018, unless sold out earlier.